Gunotsav -7 Official Dates Are Out now. 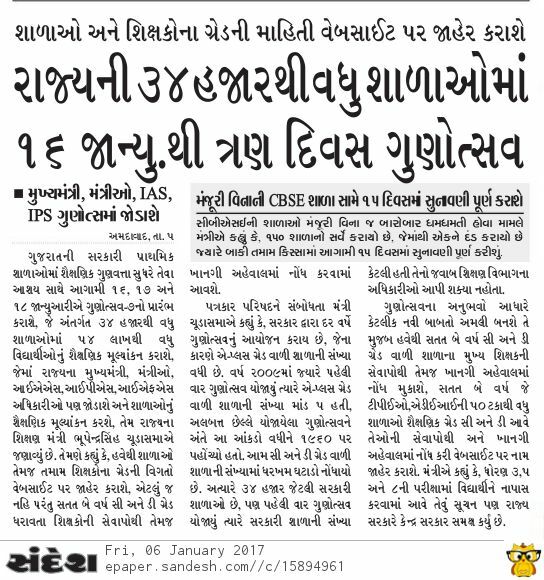 Gujarat Education Department Is Every Year celebrates Gunotsav Programme In Primary School. In this year 2017 Gunotsav is going to held in dates 16,17,18 January. Today The Department has officially declared Dates for Gunotsav 7. 0 Response to "Gunotsav 7 | www.gunotsav.org | BEST All in 1 Details, Documents & Material for preparation"